Vitale runs WPAi’s western US practice, and brings more than 25 years of experience in the fields of public opinion research, data, and campaign strategy, with additional expertise in the disciplines of stakeholder communications, campaign management, government affairs, ballot measures, zoning & land-use, community & grassroots outreach, and online & e-mail strategy. Over the last fourteen years as Principal of his own firm, Vitale served more than 150 candidate, corporate, government and non-profit clients in industry areas including politics, energy, real estate development, transportation, education, health care, tourism, technology, and labor law. Vitale has conducted polling & data projects in every state in the country, including more than one hundred thousand polling interviews in the Western US, where he is now based. In recent campaign cycles, Vitale served as pollster for winning GOP candidate campaigns at every level of government – from the Municipal level for Mayor and City Council, to the State Legislative level, as well as for more than a dozen federal level congressional races. Vitale also served as pollster and strategic communications consultant to numerous corporate (public affairs) brands including: Encana and Bill Barrett (natural gas), RBC Dain and Stifel Nicolaus (public finance), Las Vegas Sands Corporation, Intrawest and Revesco Properties (real estate). In addition to Vitale’s candidate campaign and corporate work, he has done extensive polling, data and consulting work on behalf of government and private entities with stakes in ballot initiative and referendum campaigns. Earlier in his career, Vitale spent seven years as a senior consultant and then Partner at a top Washington D.C political research firm, and later as a senior executive with a leading Washington DC based public affairs technology firm that managed stakeholder communications on behalf of large companies, coalitions and non-profit organizations. Vitale got his start in public affairs in Washington, D.C., serving as a Legislative Assistant to U.S. Congressman Nick Smith of Michigan and as a research and policy aide in several congressional campaigns. Vitale has been throughout his career a frequent panelist on televised political debates, radio shows (such as Colorado’s, The Mike Rosen Show), political forums and conferences. He has also been quoted in a number of Colorado publications including the Denver Post, Rocky Mountain News and the Denver Business Journal. Vitale has also served as an expert witness on the subject of Opinion Research in Colorado’s State Administrative Law Court. 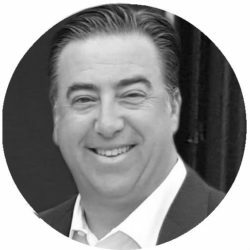 Vitale has served on numerous non-profit Boards including: Mindspark, which focused on youth development at nexus between tech, engineering and entrepreneurship. Vitale has also served on the Young Leaders Executive Board of the real estate focused non-profit, Urban Land Institute – Colorado; and, as well, on the Executive Board of the largest chapter of the American Association of Political Consultants (Washington DC/Mid-Atlantic region). Vitale also serves as a little-league baseball coach for his three boys (14,12, and 9 years old). Vitale earned his B.A. in International Business from Lehigh University in Bethlehem, Pennsylvania. He also was a student and teacher’s assistant for polling classes in the Masters program at the George Washington University’s School of Political Management.